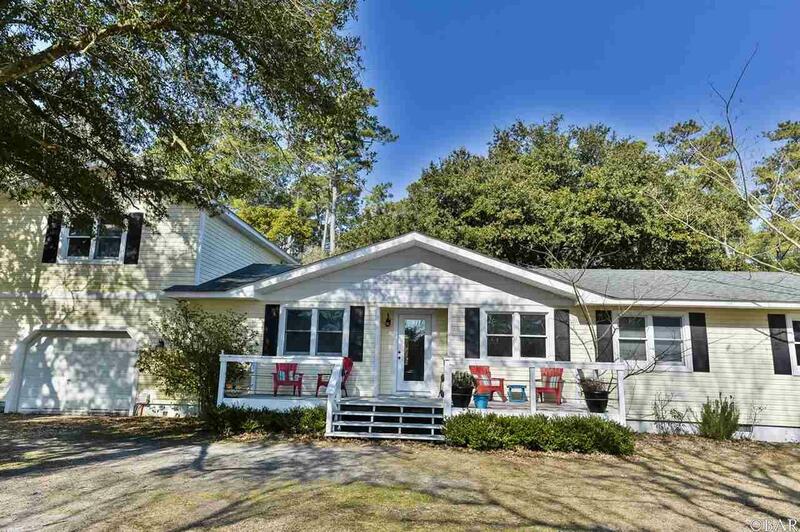 You don't want to miss this remodeled 4 bedroom home on the north end of Manteo, walking distance to the NC Aquarium & Swimming Hole. This home sits on a quiet, kid friendly street perfect for children to ride bikes. The list of updates will surprise you...NEW within the last 3 years are the roof, hvac, floors, wainscoting, cabinets/countertops, appliances, paint, accent walls, on demand hot water heater, and much more! The room above the garage offers a huge master suite with walkin closet perfect for a nanny or mother in-law suite. Another plus is generator that is wired to the home for any power outage. The above ground pool, fire pit, sandbox, and swing set make for a great playground for the kids. This home has it all!! Listing courtesy of Caroline Basnight of Village Realty Holdings, Llc - Nh.